Miss Universe Finland Armi Kuusela became the first-ever winner of the pageant, and she was crowned with this Romanov style that once belonged to the Russian czar. It contains over 1,500 diamonds, has a total weight of 300 karats, and was previously insured for $500,000! Fun fact: During a trip to the Philippines, Armi met Filipino businessman Virgilio Hilario. 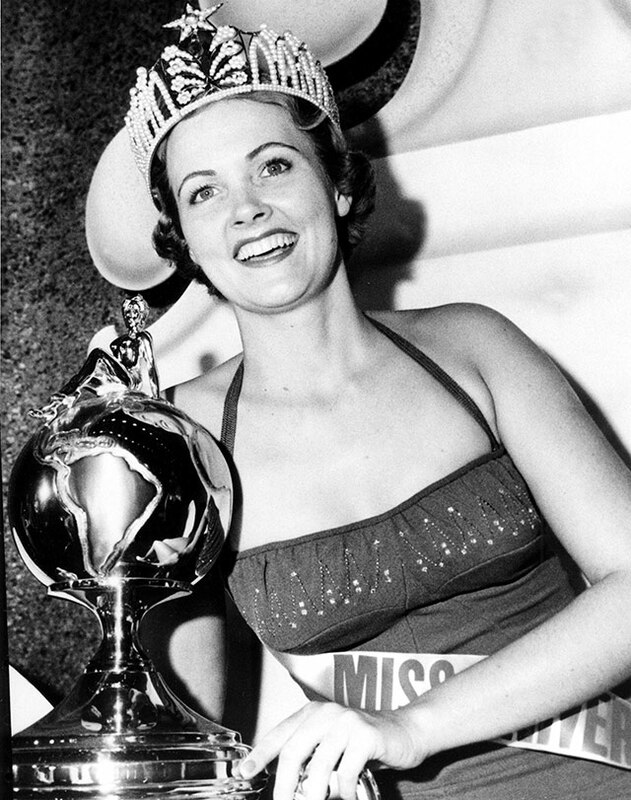 Less than a year after winning the title, she chose to give up her Miss Universe crown in 1953 to marry him after a brief courtship. The following year, the organization opted to use a simple yet sophisticated bronze crown. 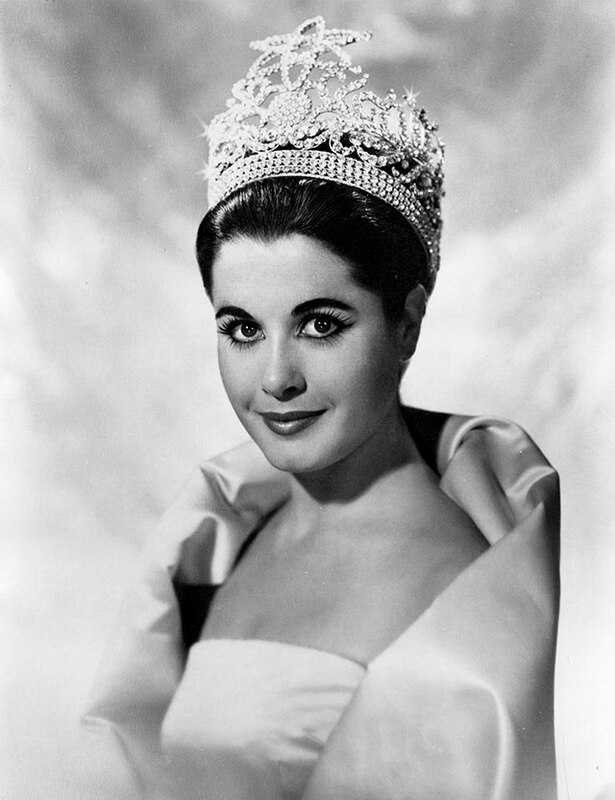 Christiane Martel of France was the only beauty queen to wear it. Unlike other crowns, it had a very solid design and didn't feature crystals or rhinestones. It was first worn by the first Miss Universe from the USA, Miriam Stevenson. 1,000 black pearls make up most of the weight of this 1.25-pound crown, though it’s that prominent star on top that gave it its name. The titleholders weren't allowed to keep the crown so the winners only wore it on their coronation and during their successor’s coronation. Whenever the crown was worn, the titleholder was always shadowed by a bodyguard. 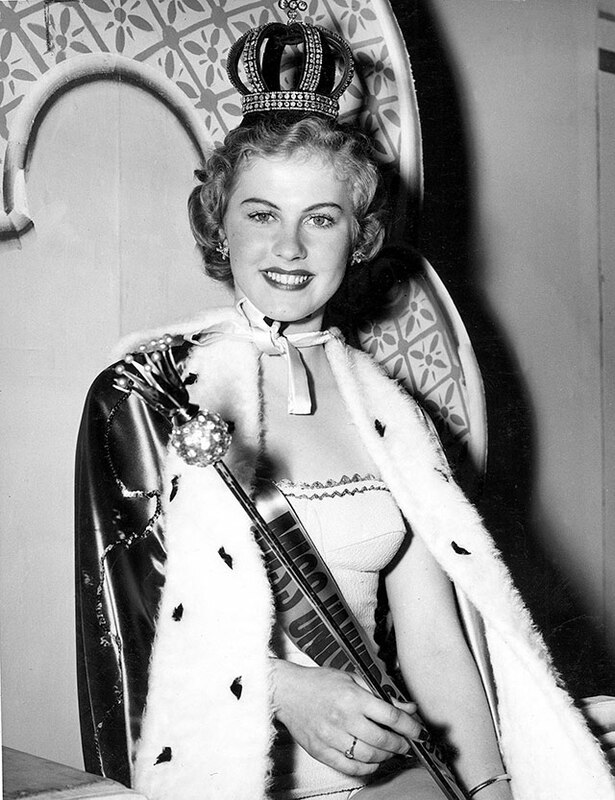 Multiple rhinestones decorate the crown worn by titleholders Marlene Schmidt of Germany and Norma Nolan of Argentina. One of the most recognizable crowns in the history of Miss Universe, this one features the symbol of the organization, a woman holding a scepter. 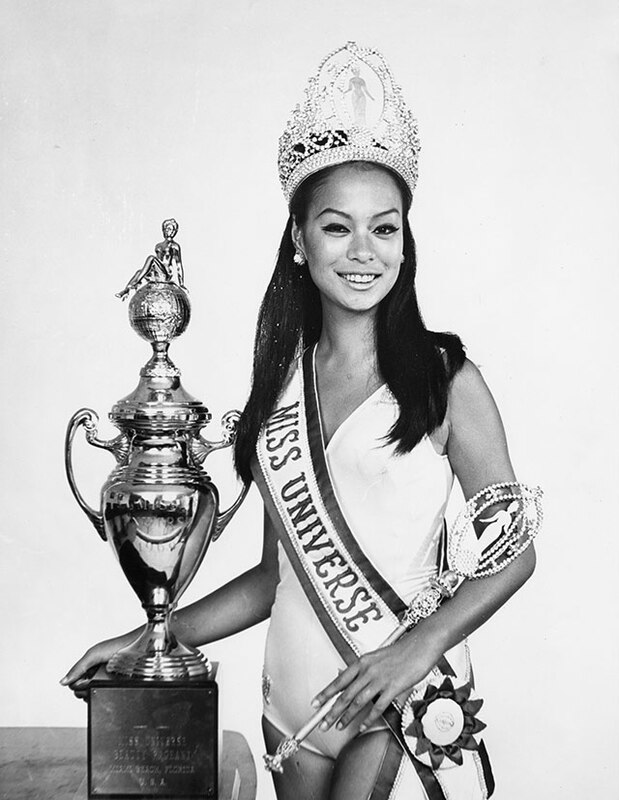 The Philippines' first Miss Universe, Gloria Diaz, was the last woman to wear this version of the Miss crown. Previous Miss Universe titleholders who wore it were Ieda Mara Vaga, Corinna Tsopei, Apasra Hongsakula, Margareta Arvidsson, Sylvia Hitchcock, and Martha Vasconcellos. In 1970, slights tweaks to the shape were made (including extended wings), although the crown still featured the logo of the Miss Universe organization. Renowned American jeweler Sarah Coventry then created the new design for the 1974 crown before the International Gem and Jewelry Show took over in the late '80s. 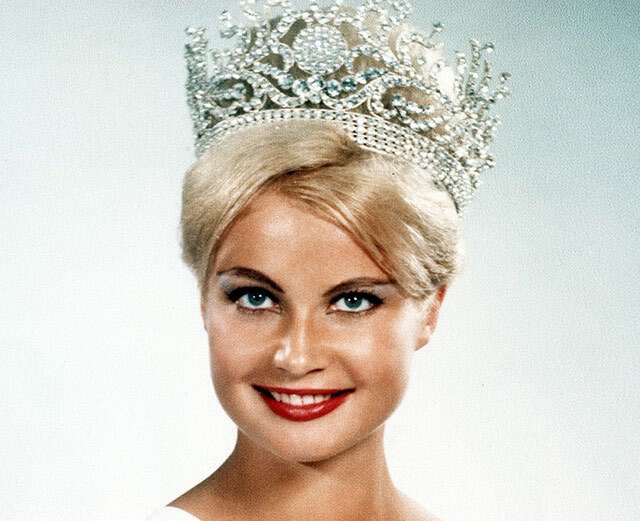 This version was given to winners until 2001 and was dubbed by pageant fans as the "chandelier crown." Filipina beauty queen Margarita Moran wore this design in 1973. In 2008, Vietnam hosted the competition and had a special crown made for the winner (who turned out to be Dayana Mendoza of Venezuela). It is crafted in yellow gold and bears an image of a crane, two elements which symbolize Vietnam's prosperity and culture, respectively. Valued at $120,000, it was made of 18-carat white and yellow gold and had more than 1,000 precious stones. 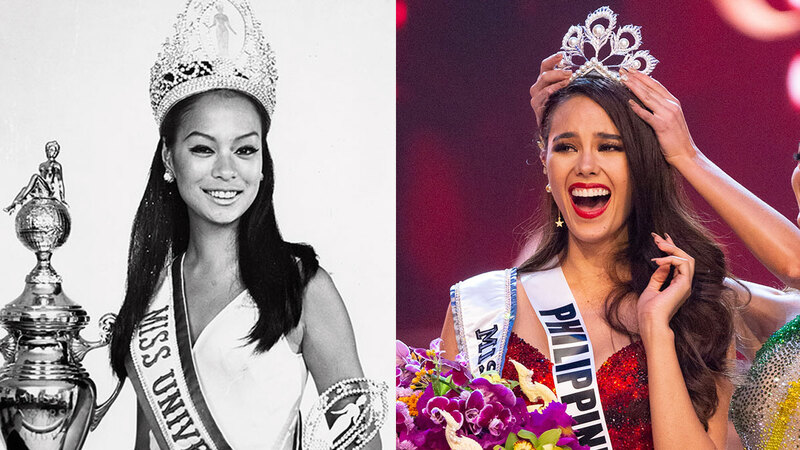 The winner of an online poll conducted by Miss Universe and the Diamond Nexus Lab, the Peace crown was one of three contenders, which also included the "Unity" and "Hope" crowns. Aside from the usual diamonds, it also contains synthetic rubies to represent the pageant's advocacy—to raise awareness for HIV/AIDS. Diamond Nexus Labs is the first eco-friendly Official Jeweler of Miss Universe and was selected as part of NBC Universal's "Green is Universal" initiative. Filipinos won't have any trouble recognizing this design—it's the familiar blue crown that perfectly matched Pia Wurtzbach’s Miss Universe gown. According to CNN Philippines, it's valued at $300,000 and features five large topaz stones, 198 sapphires, and 33 translucent Bohemian crystals. It was made to resemble the stunning Manhattan skyline, a reminder of the Miss Universe Organization's New York headquarters. "The crown symbolizes and expresses the beauty, stability, confidence, and power of women around the world." We’re excited to see which beauty queen will wear it next! Crafted by luxury pearl company Mikimoto, this crown resembles the rising phoenix. Said to be worth $250,000, it has 300 diamonds and 120 South Sea and Akoya pearls of varying sizes. It was first unveiled at the 2002 pageant held at the Mikimoto Pearl Island in Japan. 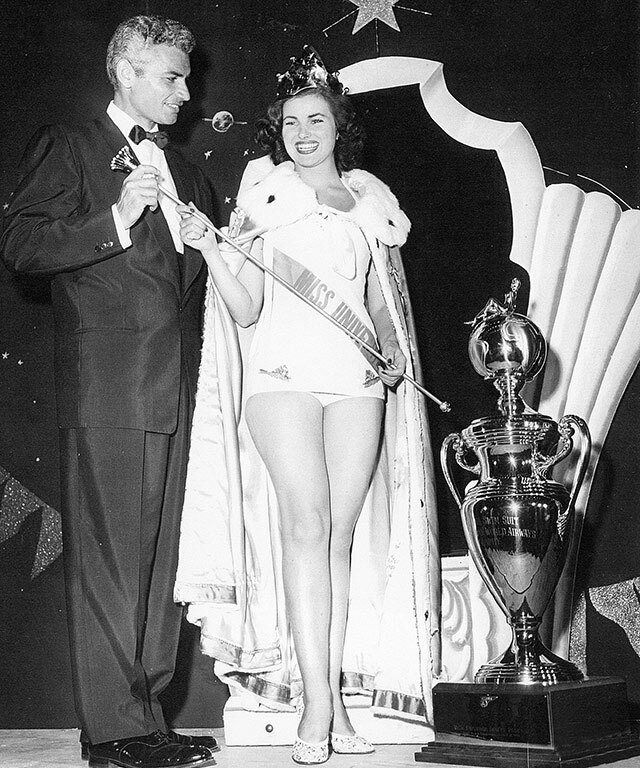 Despite the crown's beauty, some pageant fans were quick to speculate that switching to it brought bad luck. Several months after being crowned with the new Mikimoto crown, Oxana Federova from Russia became the first Miss Universe titleholder to be dethroned. This crown made its apperance again in 2007 when Japan's Riyo Mori was named Miss Universe. Ten years later, Miss Universe 2017 Demi-Leigh Nel-Peters donned the piece. It is currently in the possession of Miss Universe 2018 Catriona Gray.